As a generalization I think it safe to say that Tibetan lamas do not share--or even understand--our antipathy with "religion". They understand that we don't like monotheism, because they don't like it either. And they really don't understand how our antipathy towards Christianity gets imported into our approach to Dharma as preconditions and acceptable interpretations. When we listen to the Dharma through the filter of, "...but that sounds like Christianity, so that obviously can't be what he really means..." we do ourselves a disfavor. Last edited by smcj on Wed May 16, 2018 5:14 pm, edited 1 time in total. Chagdud too? Heretics. Horrible heretics, all of them. HHDL is also the de facto PR spokesperson for Tibet, for Tibetan Buddhism as well to an extent. His potential audience is massive, so I’m not sure you can necessarily take what he says as anything more than personal opinion or a comment to give an “in” to people who might otherwise feel their Christian upbringing and leanings prohibit them from connecting with the Dharma. ChNN, on the other hand, is presumably speaking to his students, a group of insiders who get the point of what he’s saying. Also, saying JC was a bodhisattva is a pretty safe statement to make. At the end of the day, he’s dead, and as a statement it doesn’t really mean anything in particular other than he was super compassionate. But the payoff is that people eat it up and it makes you look open and liberal, so maybe there’s a bit of a positive connection made with people listening. I would also like to apologize about my statement where I said this conversation is less than stimulating. I was just feeling frustrated at the time. My own beliefs on this topic have changed over time. And the OP was certainly a valid and legitimate good question. I felt like people will be at loggerheads with this topic and that maybe it is not so productive. Conversation can be productive, but sometimes it also exacerbates tension. There is no buddhadharma that sounds like Christianity apart from the basic ethical pointers. Also no one has advocated for importing any opinion of Christianity into dharma. Last edited by krodha on Wed May 16, 2018 5:50 pm, edited 1 time in total. Btw, Garchen Rinpoche shares ChNN's opinion on Jesus and Mary, too. As does Tenzin Wangyal Rinpoche. And at least one of TUR's sons. And, at least when it comes to Mary, Lopon Ogyan Tanzin Rinpoche. I could go on, but of course there is no point. Those who reject these equivalencies/similarities/affinities will continue rejecting them, those who are OK with them will obviously be still OK with them. It's cool if you guys like God, you don't have to employ the slighted remarks, all that accomplishes is introducing a gateway drug that may cause you to descend into routine sniping like our resident expert, dzogchungpa the magician. You guys are better than that. As we've seen on more than one occasion, many masters express greater open-mindedness than their disciples towards other traditions. Then their disciples try to explain their openness away by reasoning from ordinary mind's logic: "Oh, they're just being nice. It's just good politics to flatter Christians (or whoever) . Definitely just upāya, and nothing more." Should we not, perhaps, instead regard that openness as a teaching about how one behaves from the standpoint of awakened mind? Are we, perhaps, inclucating a detrimental narrowness in ourselves for no good reason? Are you familiar with the term epistemic humility? When we make claims about the conditions for awakening and liberation, we may or may not have any direct knowledge of that condition about which we are so apt to opine. Even if we do have some knowledge, direct or indirect, to claim that our knowledge is exhaustive is a major leap. So, why not be willing not to know? I am certainly not omniscient. Are you? So, why must we insist so strongly on foreclosing the mere possibility of any non-Buddhist being liberated to any degree? As we've seen on more than one occasion, many masters express greater open-mindedness than their disciples towards other traditions. Saying Jesus is a bodhisattva does not imply in the slightest that they think Christianity to be viable. But, after everyone jumped in this straw-man bandwagon maybe this is the impression that has been created. If I were a teacher I'd express open-mindedness towards monotheistic religions as well. Can you imagine the Dalai Lama or any other master openly deprecating monotheism? It would not go over well and would tarnish their image greatly. Not to mention the fact it would potentially alienate individuals who may be interested in the buddhadharma. And now that I think about it, TWR doesn't know what 'khyab rig' means. Heretics everywhere you look. And the OP was certainly a valid and legitimate good question. I felt like people will be at loggerheads with this topic and that maybe it is not so productive. Conversation can be productive, but sometimes it also exacerbates tension. Strictly speaking the original question was kindly answered by dzogchungpa in post #2 for which I thanked him in post #3, and everything coming after that is off-topic. Believe it or not, I really only wanted to know where the quotation is from. I too was (and still am) reluctant to engage in this discussion, because it tends to lead to hostilities. - Not that there haven't been any hostilities yet, but it's much less than what I feared. Every time I think I should really ask the mods to close this thread something interesting comes up from which I'm learning, and then I change my mind and decide not to ask the mods. I too was (and still am) reluctant to engage in this discussion, because it tends to lead to hostilities. - Not that there haven't been any hostilities yet, but it's much less than what I feared. Every time I think I should really ask the mods to close this thread something interesting comes up from which I'm learning, and then I change my mind and decide not to ask the mods. mmm Buddhism is not "solution" for everyone, religions are ok, they are no problem. christians can be christians, muslims, etc. it's on them. the problem is, as buddhist, when one try to understand the underlying meaning of teaching while holding points of view that block the posibility. well this is my point haha ¿can one grasp emptiness while grasping the ethernal idea? absurd. As far as I can tell, Christians, Catholics, etc., worship some sort of asura, and they are welcome to do so, but look at the massive scale of bloodshed that has occurred as a result. I'm aware that the asura argument normally comes up in this discussion, which is why I posted that "Religion and Violence" video earlier in this thread. If you get skin rashes and start hyperventilating as soon as you see a guy with a Roman collar speaking, maybe move it to a browser tab in the background and just listen to it without watching? He does make some really good points in that video, you know. If you need a god to threaten you with judgement and eternal damnation in order to be a decent human being, then you are not a decent human being. hmm, this "god of vengeance" is exactly what the Christian mystics do not believe in either. In all seriousness, I'm finding that this thread really invigorates the clarity aspect so I do hope it will remain open for a while longer. I had a rough couple of days. Anyway, the Christian does not lead to a liberation. So, why must we insist so strongly on foreclosing the mere possibility of any non-Buddhist being liberated to any degree? One excellent reason might be the fact that the Buddha himself excluded the possibility. Well, Deshung Rinpoche used to offer regular tormas to the Liberty Statue, a small representation of which he carried about with him everywhere. As mentioned above, the idea that bodhisattvas manifest as teachers to nonbuddhists is not novel. Even the Buddha, the Pali Canon reports, would manifest as a brahmin and teach brahmins and so on. But he was not teaching them Buddhadharma. 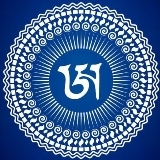 For example, in the Medicine Tantra, it is reported that when the Medicine Buddha manifested the the teacher Vidyajñāna, he manifested four Vidyajñānas, who were each perceived by the four retinue— devas, rishis, tīrthikas, and buddhists— to be teaching the medical texts of their own traditions. Even supposing Jesus and his mom were emanations of Avalokiteśvara and Tārā, respectively, this does not mean that they were able to teach a liberative path in those forms. What it does mean is that that beings who were to be tamed by such forms, would be tamed by Avalokiteśvara and Tārā manifesting in those forms to teach them. Avalokiteśvara manifests in the form of a buddha to teach those to be tamed by a buddha, manifests in the form of a pratyekabuddha to teach those to be tamed by a pratyekabuddha, manifests in the form of an arhat to teach those to be tamed by an arhat, or even manifests in the form of a piścaci to teach those to be tamed in the form of a piśaci. Last edited by Malcolm on Wed May 16, 2018 9:01 pm, edited 1 time in total. There will always be those that believe all religions are paths that lead to the top of the same mountain.